Are you planning a Maui vacation? It's a beautiful tropical paradise full of fun things to do. Hawaii Vacations has found the best Maui activities and tours and brought them all together here to provide you with the best Hawaii travel information available. Hawaii Vacations has the largest selection of Maui activities and Maui Tours for all your Maui travel, so you can fill each day of your Maui trip with something new and fun! There are so many different Maui activities to choose from that everyone can find something they like to make Maui Vacations fun and enjoyable. There are over 120 miles of coastline on Maui and many of the beaches are regularly voted “the best” by travel magazines. 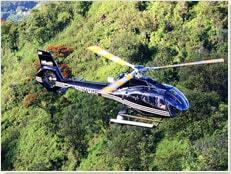 Maui activities and Maui tours happen on the land, in the air, and in the sea. Hawaii Vacations offers only the best Hawaii activities to help you make the most of your Maui Travel. Use Hawaii Vacations when planning your Maui vacations and you're sure to save money, avoid hassle, and have a more relaxing, fun filled Maui vacation. One of the most important things to consider when planning your Maui vacations it that Maui activities book more quickly than any of the other Hawaii activities because this paradise really is a tourist dream. 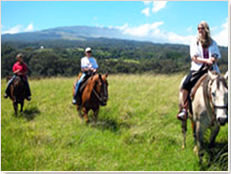 It is important to book you Maui activities and Maui tours early - many book days, weeks, even months in advance. The only way to guarantee spots in the best Maui activites and tours is to make reservation before your Hawaii vacation. 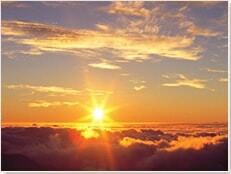 Maui Tours offer one-of-a-kind experiences. Consider some of the more popular land excursions. You can experience a spectacular sunrise from the top of Haleakala Crater, a 10,000 foot volcano that towers over the island. Explore the scenic Hana Highway that winds through waterfalls, beaches, bridges and spectacular ocean views. At Iao Valley State Park. see Iao Needle, a 2,250 foot rock pinnacle, . Tour an authentic pineapple farm and see just where this delicious fruit grows. Visit Lahaina, an old whaling town, and discover the museums, restaurants and shops . These are only a few of the land tours available for Maui travel. Hawaii Vacations offers the best Maui tours and activities at the lowest prices! If you love the ocean there are many Maui Activities both in and on the water. 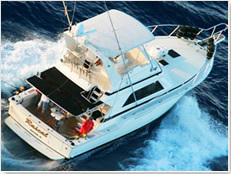 Deep sea fishing is great year round and a great way to spend part of one of your Maui vacations. Enjoy a whale watching excursion on one of your Maui vacations. Scuba dive or snorkel at Molokini Crater, as one of your Maui activities. Explore the sea 130 feet below the surface in a submarine. If you assume that because Maui (and the rest of Hawaii for that matter!) are surrounded by the Pacific ocean, there must be some fun things to do in the water in Maui, you're absolutely right! Some of the best Hawaii fishing is done right here in Maui. You can catch Kahala (Amberjack), Ahi (Yellofin Tuna), Aku (Skipjack Tuna), the might A'u (Marlin), and many other species of sportfish. Of course fishing isn't the only water Maui activity - Hawaii Vacations also offers snorkeling, surfing, snuba, and even Submarine and Glass bottom boat rides. There is a Maui tour for everyone! There are also many activities in Maui for vacationers who enjoy sports. Consider playing a round of golf at one of Maui’s Championship golf courses. 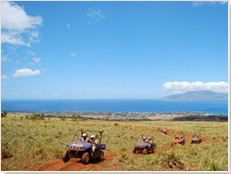 Feel the wind rush over your face as you discover the thrill of a Maui ATV tour. See some of our unique wildlife and experience the great outdoors with Maui’s remarkable hiking trails. You can even bike down Haleakala crater, the world’s largest dormant volcano. So many Hawaii travel veterans write back to us after their vacations and tell us that of all the things they did on their Maui vacation, the helicopter tour was the best. And these are not people who go only once - every time they visit Maui, they take a helicopter tour. They simply cannot believe the beauty that this island has to offer, and each time they take to the air, its like the first time all over again. You'll never get a better view of the waterfalls, the crater, the jungle, the ocean, anything, than on a Maui helicopter tour. This Maui tour is one of the most popular Maui activities for good reason. Make sure to reserve yours today! No Hawaii Vacation is complete without a luau. 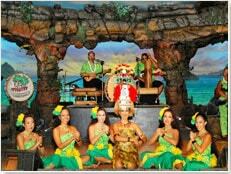 Always among the top Things To Do In Maui are luaus, offering a delightful evening of authentic Hawaiian food, fun, and Polynesian entertainment. 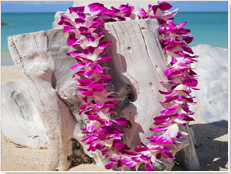 Its a Hawaiian beach party where you're always welcome to share in the spirit of Aloha. Hawaii Vacations makes Maui Travel easy and affordable. Don't pay full price. Don't wait in line. Don't risk not getting to participate in the Maui activities and tours of your choice because everything is booked. Reserve now with Hawaii Vacations and save now! Secure your places in the best Maui Activities so make lifelong memories with your family and guests on the ultimate Maui Vacation.